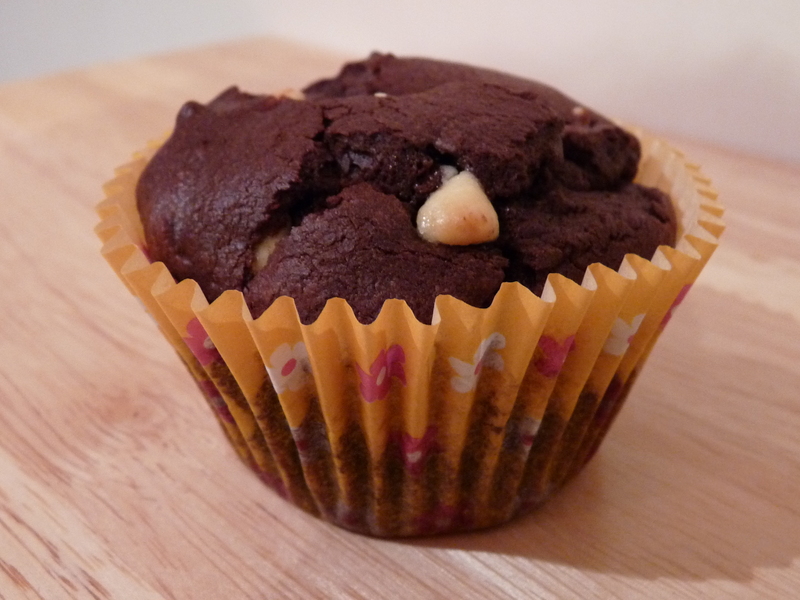 These muffins will be appreciated by the chocolate lovers. Add the egg and then gradually add the flour and baking powder. Finally, add the milk and once everything is well combined, add the chocolate chips. This entry was posted in Muffins, Recipes and tagged baking, chocolate, food, muffin, muffins, recipe, white chocolate by thebloodyfrog. Bookmark the permalink.